I think we all agree that grass clippings from mowing the lawn make your garden look untidy. It used to be really time consuming picking up all the leaves, grass clippings and all kinds of leftover debris up…until now! This electric lawn rake from Flymo is great for removing unwanted debris, thatch and moss. 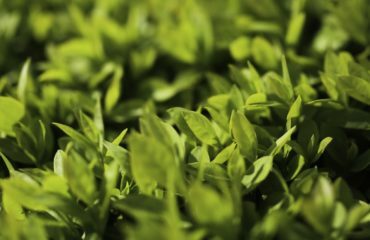 It can save you tons of time while improving your garden’s look and lawn health. In today’s review, I’ll explain its unique characteristics and features that make it such a practical and necessary tool. 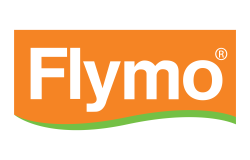 With over 50 years of experience in making gardening tools and equipment that make gardening a pleasure and not a chore, Flymo offer all kinds of lawnmowers and other gardening tools convenient for everyday and professional use. 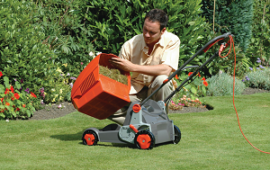 Flymo products are lightweight, easy to use and perfect for gardening and maintenance. 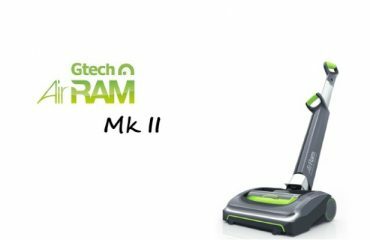 They have an extensive range of products from which to choose from, including lawn mowers, hover mowers, grass trimmers, hedge trimmers and more. 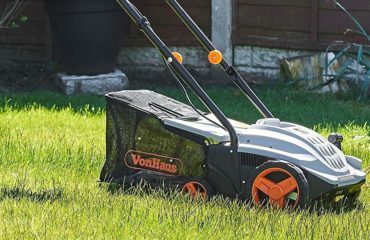 The Flymo Compact 3400 is an 750 W electric lawn rake with a working width of 34 cm, 34 L collection capacity and 6 available positions for height adjustment. The tool is compact, easy to assemble, and manoeuvre and very affordable. 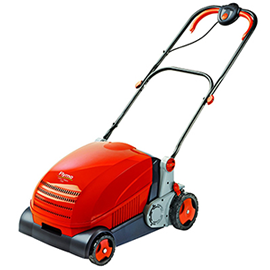 It has a powerful 750 W motor and a cylinder designed for easy removal of thatch and moss. 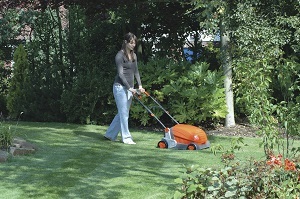 The lawn rake has a 34 L capacity, and is compactly designed to hold more, requiring less emptying. The 6 available positions allow it to collect debris above and underground, ranging from -5mm (below ground) and up to 8mm above. You can get replacement tines from Amazon. The tines are the parts used to scarify your lawn. This promotes rapid healthy grass growth, so make sure you replace lost or broken ones regularly. Note: There is a YouTube video on how to replace the tines. 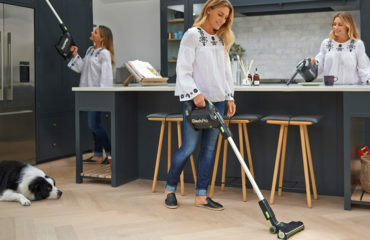 Why Buy the Electric Lawn Rake from Flymo? 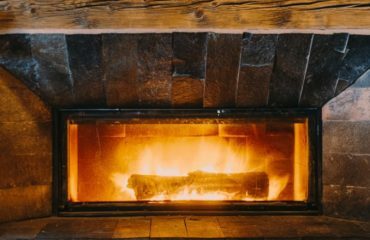 If you want your garden to look tidy and healthy then you need to take care of all that moss and thatch, as well as other debris that can be found after mowing the lawn. 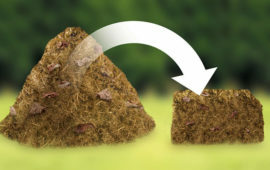 This product’s design enables you to do just that, and is more than capable of removing all of that unwanted debris which is important for grass growth. What makes it even more convenient is the fact that it has a collection box designed to gather 34 L and a window so that you can know when the box needs emptying. The tool is also pretty easy to fold down and store, which is a big plus, especially if you’re short on space. Since it’s a very powerful tool that’s been finding its home in the garden sheds of many Brits ever since it was released, you can imagine that there are tons of reviews out there. So lets see what some real customers had to say about it. 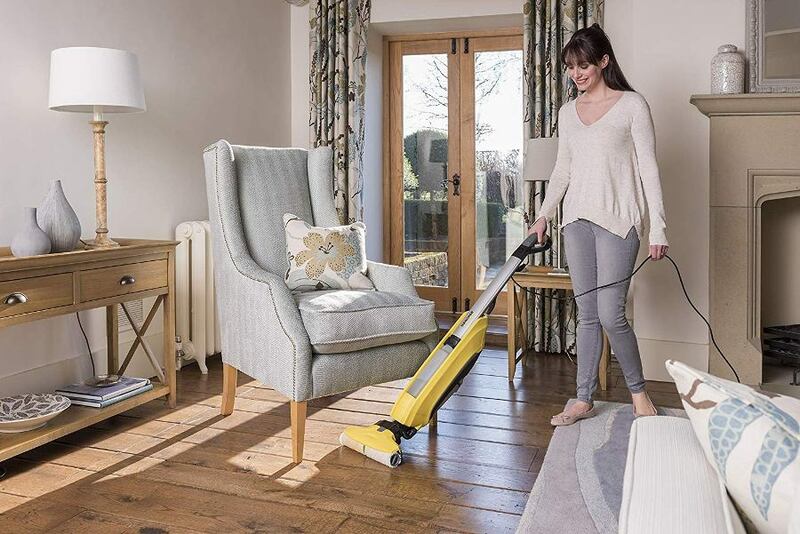 Generally, what attracts people to the tool is the fact that it’s lightweight, easy to manoeuvre and very effective for home use. Users seem to like the fact that they have a great value lawn rake that does the job quickly and efficiently and is easy for everyone to use. They can go through their whole garden in a matter of minutes – something they could never achieve with a regular hand rake, plus their lawns look way nicer than they did before. 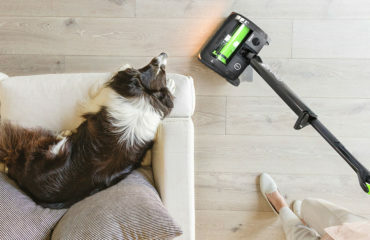 Excellent well designed product, easily put together out of box, in 15 minutes you will be using it. 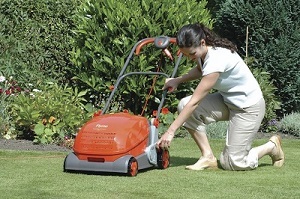 Some reported that they prefer using a scarifier with blades rather than tunes, as they are usually stronger. Others also said that although the tool is easy to assemble and store, it would have been better if the handle folded in two for easier storage and some people did complain about the instructions being hard to follow. If you’re looking for an efficient, affordable and powerful tool that will keep your grass clean and lush then you should definitely give the Flymo Compact 3400 electric lawn rake a try. This compact and light lawn rake from Flymo will help you keep your garden fresh and green by removing all of the thatch and moss and allowing the roots to breathe and the grass to grow. 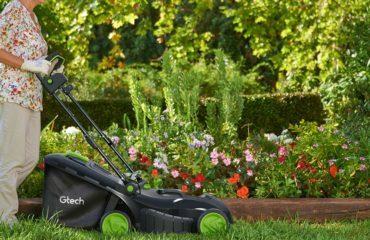 Advantages: An affordable and powerful tool that offers you remarcable flexibility and helps you remove any debris from your grass without damaging it. Disadvantages: Might require you to use an extension. 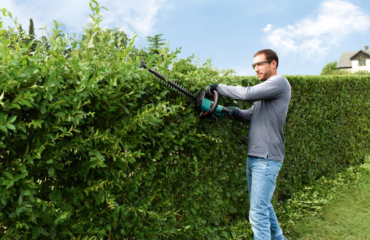 If you’re interested in other garden tools, I’d recommend checking out some of the best sellers I have reviewed on this site, including the GTech Hedge Trimmer, GTech Electric Lawnmower and the best petrol mowers in the UK. Here is a video on how to assemble the handles of your Flymo rake. Here you can see how to adjust the height and wheels on your machine.